The author posing by IRCA 204, 2-8-2 built as 74134 by Baldwin in 11/1948. Photo Piotr Kumelowski collection. Despite its obvious advantages, rail has lost the battle with road in yet another country – Guatemala. Before we shrug our shoulders and dismiss this Central American country as a ‘typical banana republic’ – it is worth becoming acquainted with some interesting facts. 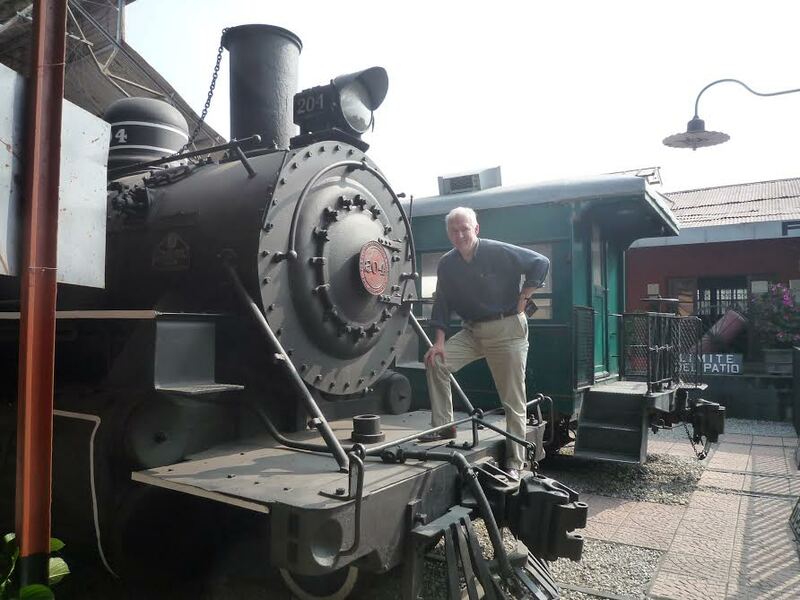 The origins of the local railways date back to the last two decades of the nineteenth century. One of the companies served the extensive coffee plantations run by German settlers. At the beginning of the twentieth century, several independent concerns were consolidated as the state-owned Ferrocarriles de Guatemala, whose 3-foot (914 mm) gauge lines reached both oceans as well as the Mexican and Salvadoran borders, a network of some 800 km. The railways of Guatemala. Map Bill Metzger/RDC. The zenith of the Guatemalan railways occurred in the period 1912 – 1954, when the lines found themselves in the hands of the United Fruit Company – a giant citrus producer. Under the name of ‘International Railways of Central America’ (IRCA) – the infrastructure, rolling stock, procedures and frequency of trains reached a North American standard. The railways transported tropical fruits for export, serviced virtually the all imports, ran regular passenger services (providing hotels and restaurants) and carried the mail. They were a real link with the outside world and a herald of technical progress. In 1954, as a result of antitrust legislation in the United States, the United Fruit Company got rid of its railways which were acquired by government. That date also marks the start of an extensive programme of road construction. 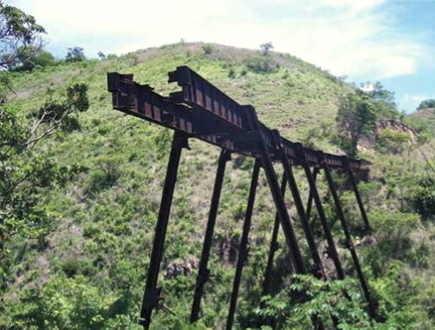 In 1996, the whole railway – known as FEGUA – was definitively closed. But was not the end. Like the fairy godmother in Cinderella, the Railway Development Corporation, a USA ‘short line’ operator, appears on the scene and achieves a miracle. After negotiating a concession to operate the railway from the government, the company overcame numerous technical difficulties to restore to life a devastated, but most commercially promising, 320 km segment of the network from the Atlantic to the capital of Puerto Barrios (4 million inhabitants). Alarmed, the road haulage lobby used a whole series of dirty tricks to make life as difficult as possible for the ‘Yankees’ and to get rid of a competitor. By 2007, they had achieved their objectives, and the recently revived rail transport of steel, cement, paper, oil, bananas and containers died. Today, all that is left is a haunted rusting fleet of rolling stock and locomotives, while track and steel civil engineering structures are stolen more and more brazenly and the highways become ever more jammed with huge used trucks imported from the USA. Something of interest remains – the Museo del Ferrocarril in the capital. Ironically it was partially set up by the Americans. Sin Nombre viaduct at mile post 177.78. Photo courtesy Jorge Senn/Railroad Heritage. This entry was posted on Monday, 30 March 2015 at 09:09 and is filed under 3ft gauge, Guatemala. You can follow any responses to this entry through the RSS 2.0 feed. You can leave a response, or trackback from your own site.